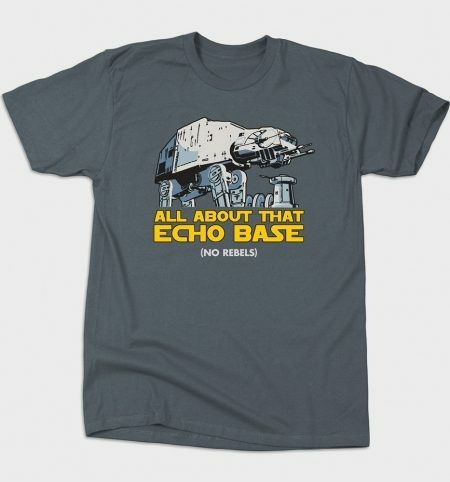 "I'm All About That Echo Base (No Rebels)" Tee Just $20! You are here: Home / Great Deals / “I’m All About That Echo Base (No Rebels)” Tee Just $20! “I’m All About That Echo Base (No Rebels)” Tee Just $20! Pop culture collides with counterculture – creates Tee! Can Star Wars fans and Meghan Trainor fans exist in the same world? This tee says yes! Get this “I’m All About That Echo Base (No Rebels)” Tee for Just $20! Lots of other fun designs available!